Microinverter manufacturer Hoymiles is investing in the UK solar market “for the long-term”. In addition to its major presence at Solar & Storage UK, the company has a Rotterdam logistics hub for European customers, a series of training events in the UK and has now shipped the first container of its MI-1200 microinverters to Kent- based installers Ecolution. 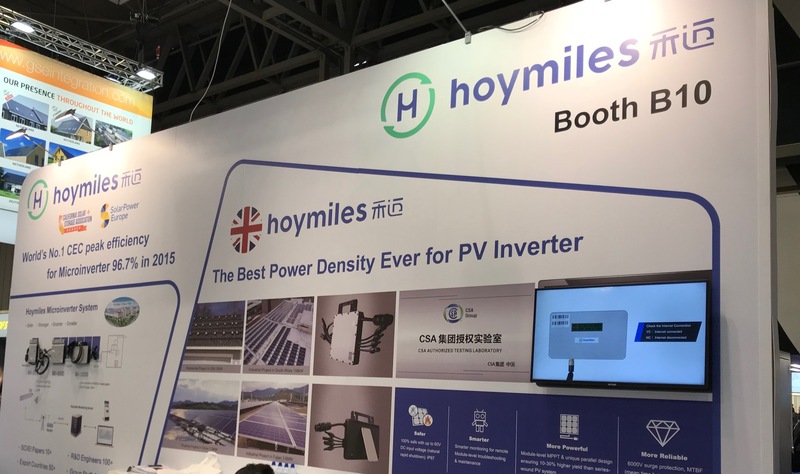 “They compared lots of inverter solutions and from Q4 this year they will start to use the Hoymiles MI-1200 microinverter in a big way. We just sent the first container to them, and local end users will enjoy Hoymiles safer and smarter MLPE solar solution soon,” said Andy Tang, sales director at the company. “As a global brand, Hoymiles regards the European market as one of our key strategic markets and the UK is no doubt one of the most important markets in Europe,” he added. The four-module MI-1200 microinverter is the focal point of the company’s presence at the show. hot environments, like Mexico for example, other companies are experiencing very large failure rates,” he added.